Thank you! Your blog post will be advertised on the DigiFree Digital Scrapbooking Freebie search engine today (look for timestamp: 09 Mar [LA 08:00pm, NY 10:00pm] - 10 Mar [UK 03:00am, OZ 02:00pm] ). Love this egg. You must like faberge. Such a beautiful creation. thank you so very much. I've been wanting an egg like this. Thank you so much for sharing. Thank you so much for this Freebie. 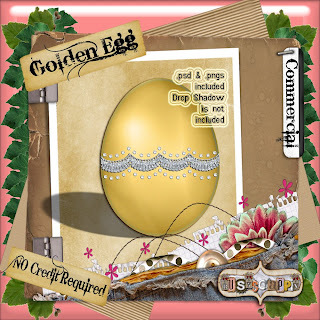 I want to let you know that I posted a link to your blog in Creative Busy Hands Scrapbook Freebies Search List, under the Commercial Use post on Mar. 10, 2009. Thanks again. Beautiful, Thanks so much for sharing with us! I am sending HUGs as a thank you so very much for sharing your hard work. I am still trying to learn how to use things Digital. I love to create things but am not sure how to do it Digitally yet. I feel inspired!1 It's gorgeous..thank you!! Thank you for the CU Freebie!! It is awesome!